One of the most important rules in life is to do unto others as you would have them do unto you. 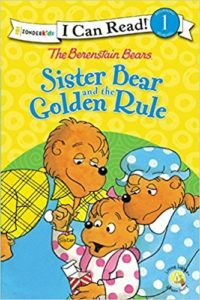 In this case, Sister Bear learns the importance of being kind to others, no matter how horribly they treat you. When a new girl arrives at Sister’s school, she isn’t nice to her. What happens next is a life lesson on how important it is to remember to be kind to others.